When John MacArthur arrived at a small church on the outskirts of Los Angeles in 1969 after graduating from Talbot Theological Seminary, the young pastor’s priority was simply to teach God’s Word. Spawning a media ministry that would stretch to every corner of the globe was out of the question, according to the ministry. But one man in the congregation immediately saw an opportunity and acted. Realizing some members were too ill to attend services, that church member began recording MacArthur’s lessons. That first tape contained a message titled “How to Play Church” and was the first resource produced by what would become Grace to You. By 1973, cassettes with MacArthur’s lessons were circulating throughout the church and beyond. And in 1977, seemingly by accident, a few Grace to You tapes found their way on the air in Baltimore, Maryland, and “Grace to You” radio was born. By the early 1980s, Grace to You became an independent, self-funded, nonprofit company and subsequently bought its own building thanks to a loyal family of customers and supporters. Since then, God has allowed the ministry’s resources to go beyond U.S. borders, with offices now planted throughout the English-speaking world, including Canada, India, and Europe. In addition to crossing geographical borders, the ministry has also traversed several technological frontiers — going from reel-to-reel tapes and razor-blade editing to using computer technology to record, edit, and deliver broadcasts to radio stations since the late 1990s. 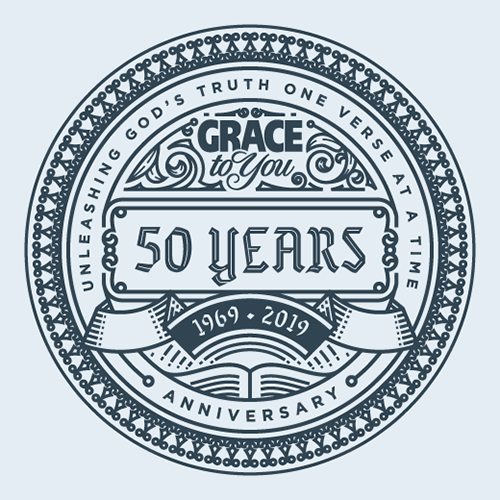 Today, Grace to You is the nonprofit organization responsible for developing, producing, and distributing MacArthur's books, audio resources, and the Grace to You radio and television programs. Grace to You radio airs more than 1,000 times daily throughout the English-speaking world, reaching major population centers on every continent of the world. It also airs nearly 1,000 times daily in Spanish, reaching 23 countries from Europe to Latin America. Grace to You television airs weekly on DirecTV in the United States, and is available for free on the internet worldwide. Furthermore, the Grace to You website and the ministry’s Bible and sermon apps offer an endless supply of articles, videos, and study materials. All of MacArthur's 3,000 sermons, spanning more than four decades of ministry, are available for free on the Grace to You website, www.gty.org, in MP3 format and via podcast. Next month, MacArthur is scheduled to preach at the Worship Service that will take place Thursday, March 28, during Proclaim 19, the NRB International Christian Media Convention in Anaheim, California. A long-time member of NRB, MacArthur was inducted into NRB’s Hall of Fame in 2013.